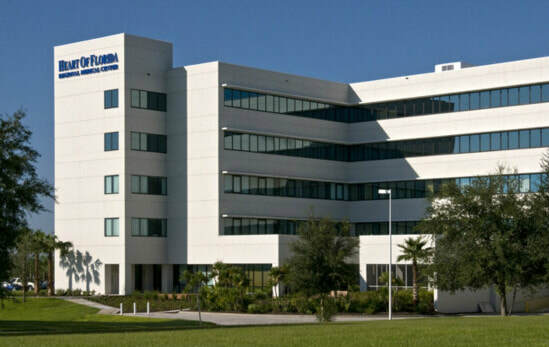 Heart of Florida Regional Medical Center, a 200-bed acute care facility, offers a full spectrum of services supported by over 200 physicians representing various medical specialties. We are fully accredited by the Joint Commission. Offering personalized care today - Our patients deserve the best personalized care possible. And they do get the best at Heart of Florida Regional Medical Center. Because of our size, we are able to offer professional and caring health care services in support of today's technology. Highly skilled nurses, together with other health care professionals, provide quality care with a personal touch. Our commitment to superior health care also extends to our selection of the finest medical staff. - Our primary care physicians have a strong reputation for excellence, and the wide range of specialists practicing here represent the best in their respective fields. We have chosen and employed highly trained professionals to lead our clinical departments and assist our medical team. Poinciana Medical Center is a four-story, 150,000 square foot hospital with 70 private beds and a six-private bed ICU. Poinciana Medical Center provides a full range of acute care services including emergency services, diagnostic imaging, inpatient and outpatient surgery, cardiac catheterization, laboratory, pharmacy, and a full range of support services. The Emergency Department is approximately 14,500 square feet and consists of 22 private treatment spaces, an EMS entrance and a helicopter pad. Poinciana Medical Center is located at 325 Cypress Parkway in Kissimmee, serving the communities of Osceola and Polk counties.